Along with our new name, look and feel, the IF Recruitment boardroom has also seen some changes. In October 2015, Joseph and Kelly Hathiramani took to the helm. Joseph and Kelly are no strangers to the recruitment world – they already head up a leading independent recruitment consultancy supplying the construction, technical, military infrastructure (MoD) and building services sectors, both nationally and internationally. They have come on board with plans to expand business here at IF Recruitment and they have made great progress so far. Our turnover has already increased and our business has expanded, with many new faces joining the fold. 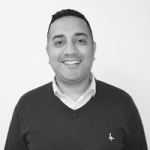 Joseph, our Managing Director, is an experienced recruitment consultant with over 17 years in the sector – he brings a lot of knowledge to the company. 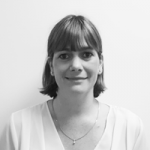 Kelly is our Finance Director. Also with many years in the sector, she knows her way around just about anything to do with finance and contracts. If you would like to speak to Joseph or Kelly, please email them on Joseph@ifrecruit.com or Kelly@ifrecruit.com or call on 0203 362 4159. Our Chairman, Tony Seager, is an exceptional trainer and coach in the recruitment field. He brings a wealth of knowledge and experience to the company and has actually aided the team for many years. 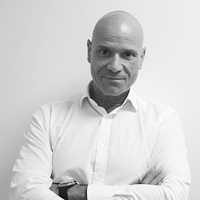 Tony started his recruitment career in the late 1980s and has enjoyed much success as a consultant ever since. He is well regarded within the recruitment arena, and we feel very privileged to have him on the IF IT board. Jim remains as our Sales Director. 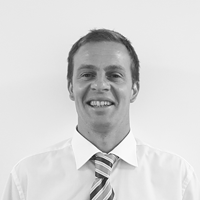 With over 12 years’ experience of technical recruitment, Jim has a wealth of knowledge and is well respected in the industry. Jim predominantly works within the financial services (insurance, and retail banking) arena and he has well-established, strong relationships with both clients and candidates.